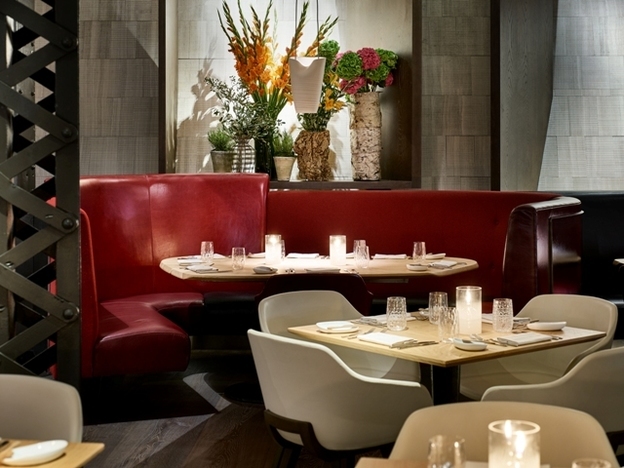 Eneko at One Aldwych is a restaurant whose arrival should have been heralded with trumpets. Here’s a chef who not only boasts three Michelin stars, but has been soaring steadily up the list of the World’s 50 Best Restaurants for the past three years. Yet Eneko Atxa, who jumped to no.16 on that list in 2016, remains relatively unknown outside Spain, and his UK debut has been slightly under the radar. 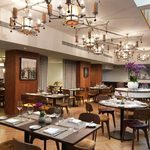 The fact the food is not yet priced to reflect his top-drawer status is something to celebrate, reason enough to get down to One Aldwich while the kind of incredibly inventive food he serves up at Azurmendi in Bilbao can still be enjoyed for a reasonable sum. 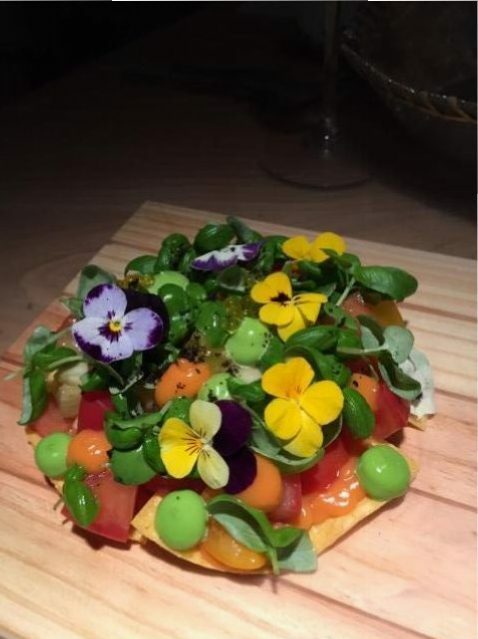 Take the talo, which has already established itself as Eneko’s signature starter – a crisp corn tortilla topped with many colours of heritage tomato absolutely bursting with flavour, dots of golden tomato and green basil emulsion and a sprinking of edible flowers – a rainbow dish to die for. You could have one of these, a glass of txakoli – the local white wine Atxa has brought from Spain’s Basque country to introduce to Londoners, and leave happy for less than £20. More complex layers of flavour are to be found in grilled langoustines clothed in bacon sauce – weird but moreish – and a really out-there assembly of oyster, crab and chopped wild raw prawns Eneko calls Memories of the Bay of Biscay. Better than either we enjoyed the aptly-named Pork Festival – chorizo on milk bread, glazed pork sweetbread and a bite of suckling pig in tempura which worked a little less well than the other two morsels on the plate. You don’t necessarily need a main with so many substantial fishy, meaty and vegetable-based small plates, but the hake in tempura batter with red pepper sauce, parsley emulsion and confit vegetables was a revelation. Although he has left his food laboratory – where we found the engaging Eneko trying to recreate the flavour of freshly-mown and watered grass when we were last at Azurmendi – behind, he has dared to put on his London menu hard-core offerings like cod tripe stew. A nice touch of Basque is the side of piperrok – charred little Guernica peppers, mild with just a touch of lingering heat. Wines from Atxa’s family vineyards are definitely the ones to try – of the various txakolis in this category, we liked the 42. 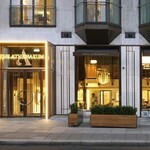 But this is not so much a place for desserts: Atxa’s playfulness is best expressed in his savoury dishes. 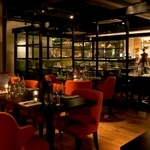 And although the room is darkly dramatic, we’d like to see it lighter by night, airer and a little less urban in feel. This chef’s food speaks so much of the land and sea around him, it could find itself potentially marooned in the concrete heart of the British capital.